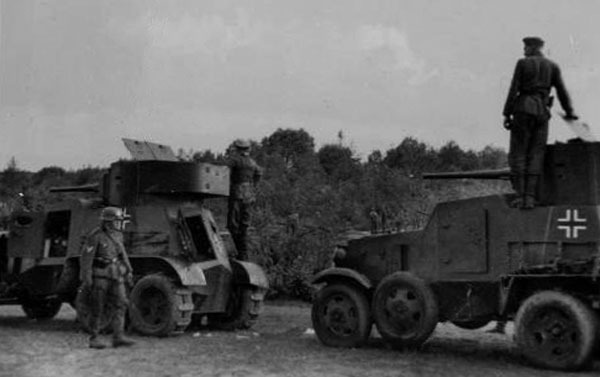 Germans BA-3 (or BA-6) armored car. Note changed by Degtyarev MG main armanent and non-standart whole turret hatch. 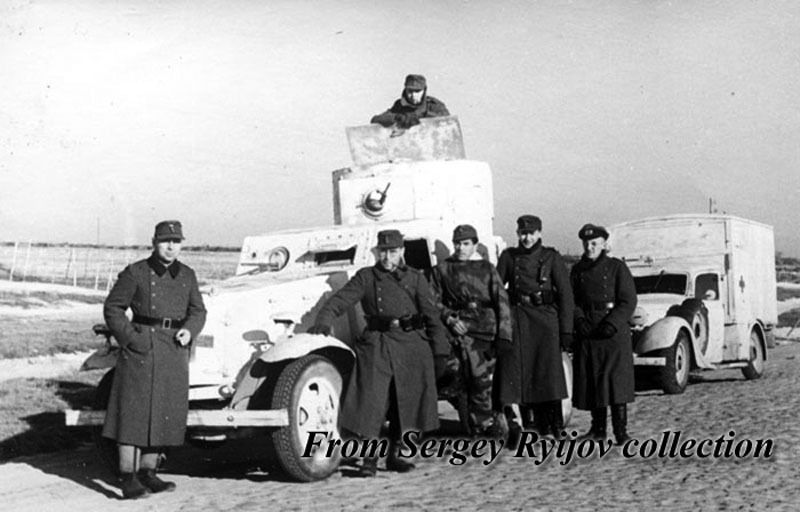 Germans BA-3 armored cars. Note "Overall" track.